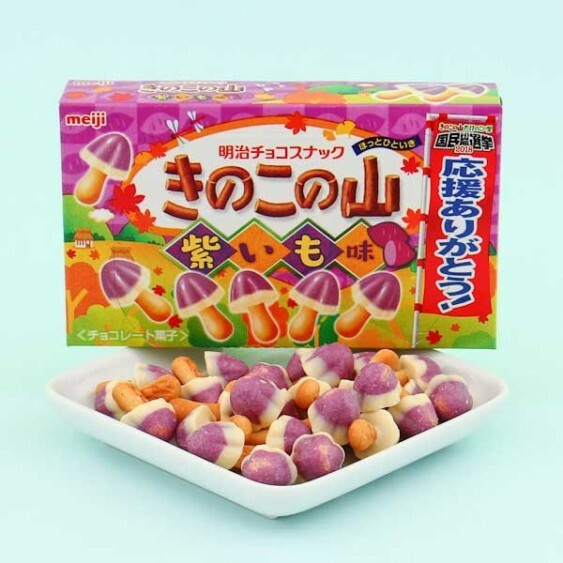 These delicious milk chocolate cookie treats are shaped like mushrooms and have been popular in Japan for over 20 years! They are one of the Meiji's oldest treats and have various flavor options, from limited edition to seasonal and all-time favorites! This limited autumn edition of Kinoko no Yama has lovely taste of purple sweet potato and creamy milk chocolate. 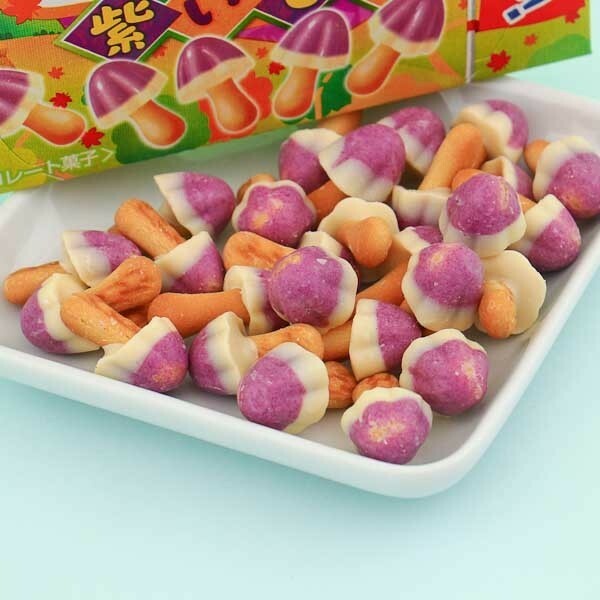 They are perfectly sized for easy snacking, look like small mushrooms but taste deliciously sweet! Such a strange combination!